is numbered and signed by Tim. The carvings are carved from Basswood and painted completely by hand with oil paint. Tim carves the feathers and burns details into each one. The process of creating each carving is detail oriented from beginning to end. The above picture illustrates the stages of development of each carving. Tim will create special request pieces for clients as well. If you do not see the carving you would like, let Tim know. 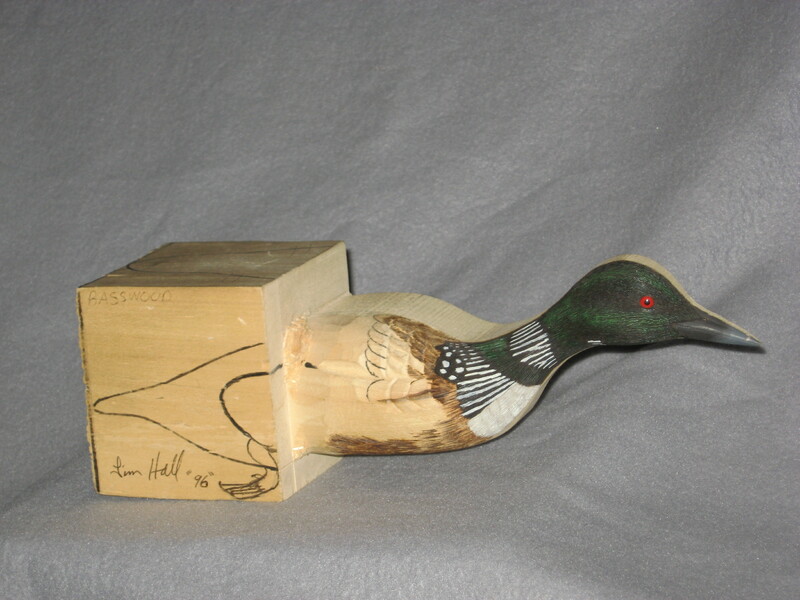 Tim has created ducks, game birds, song birds, humming birds, hawks, fish, animals and wildflowers. The gallery represents a small sampling of Tim's work.